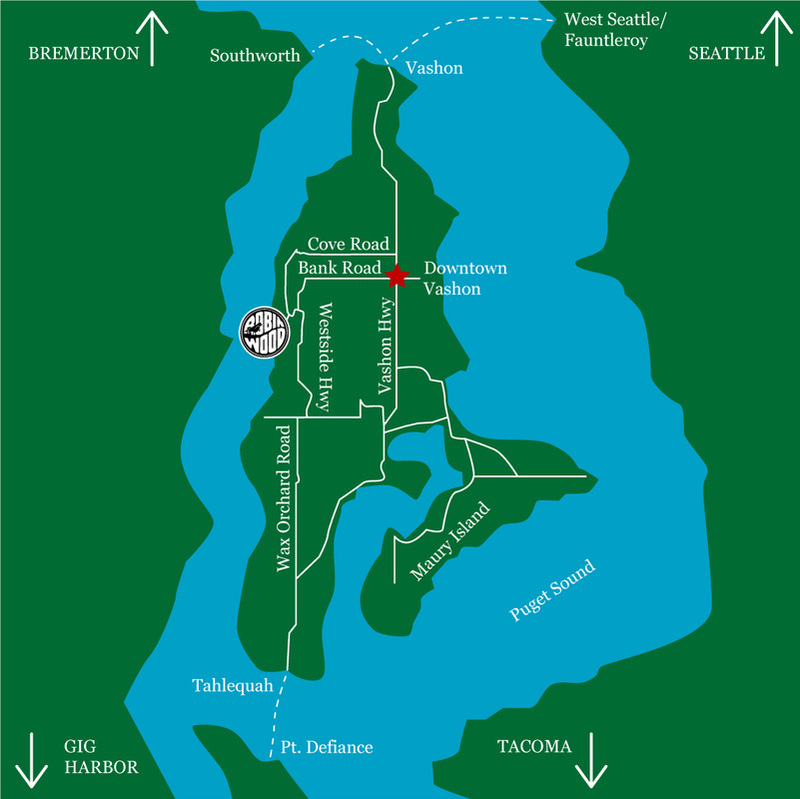 Click for Washington State Ferry info, schedules, and fees. Turn right at the blinking red light in town (Bank Road). Continue until you reach a stop sign and turn right (Westside Hwy). Take your first left onto Robinwood Road. Follow Vashon Hwy north about 1.5 miles and veer left (onto Wax Orchard Road). At the next stop sign turn right (220th) and take your first left (Westside Hwy). After a sharp right corner, take your first left to stay on Westside Hwy. Robinwood is your first left coming out of the S curve.